This week I planned to do some snail mail related stuff connected to zines because it’s “postal week”. I didnt really get everything done that I set out to do, but I still did some fun mail/zine things. 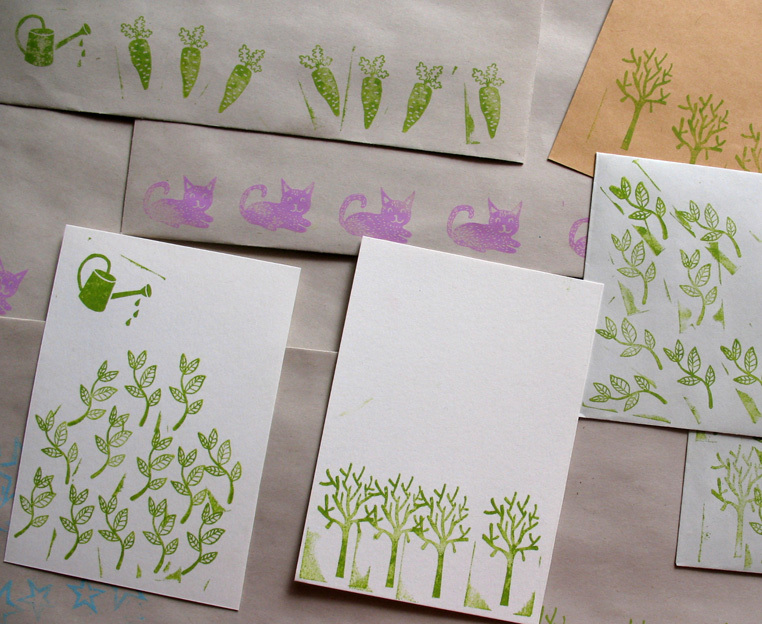 — Recently, my friend Cathou gave me a lovely stamp set that I now used to decorate envelopes and cards. I really love stamps! Sometimes I try to make my own with lino. Here you can see some results of the stamps and a self-made lino in the shape of stars: Some great news: Ana of Artificial Womb distro + zine from Scotland asked me to distribute my zines, and I gladly accepted! Yay! Heavy Mental from Berlin are also going to stock some of my zines. I’m usually quite bad at promotion/sales/distribution of my zines, but I’m making progress! Another thing that made me very happy is that Ana wants to make a split zine with me! Double yay! 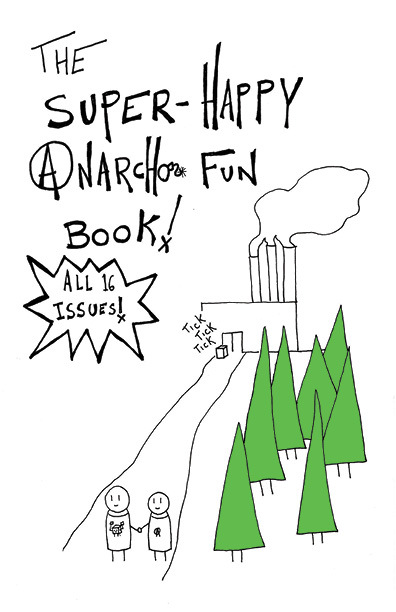 I just finished reading this hilarious comic book, a collection of comic zines: The Super-Happy Anarcho Fun Book. You can read the comics online too and the zines are distributed for free. Maybe it’s only funny if you’re in some way into the anarchist/activist scene, but I’d recommend to check it out anyway. The comics make fun of everyone: all types of anarchists, liberals, hipsters, cops, peace activists, misogynists, eco-hippies, capitalists… There’s even a story in the book about a dumpster on its way to a G20 protest! This entry was posted in International Zine Month and tagged artificial womb, comic book, heavy mental distro, international zine month, izm2015, lino, mail-art, postal week, snail mail, split zine, stamps, super-happy anarcho-fun book. Bookmark the permalink.